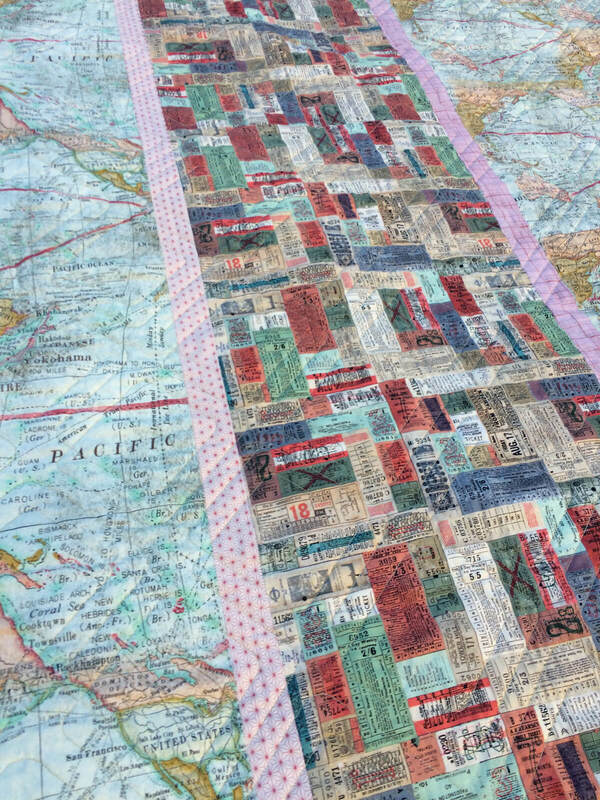 Most of you have probably seen the “Eclectic Elements” fabric collections by Tim Holtz. A sizable stack of them had been growing in my stash for some time. And I kept buying them even though I had no idea what I was going to do with them. They were actually pretty different from the fabrics I typically buy, but they just kept calling to me! And seriously, what graphic designer could resist them? Especially the prints featuring old letterpress blocks? Early one Saturday morning I was purchasing thread on the Craftsy.com website. (BTW, when Craftsy has a sale on Aurifil thread, it’s the best value I’ve found.) And that’s when I saw it – the Variable Star pattern by Wendy Sheppard, I was smitten. I just knew it was perfect. 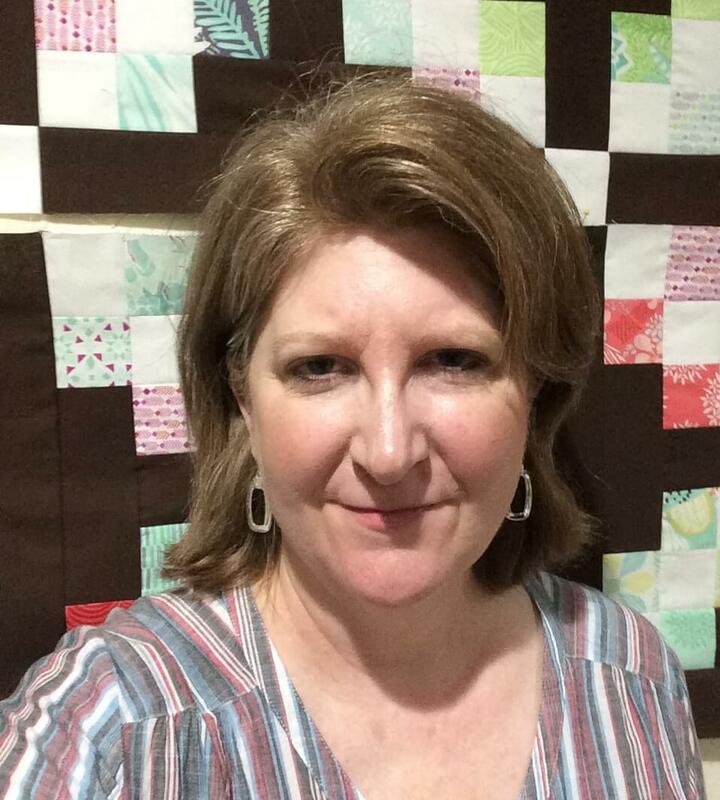 Wendy is a prolific quilt designer, and I knew that she writes a good solid pattern. 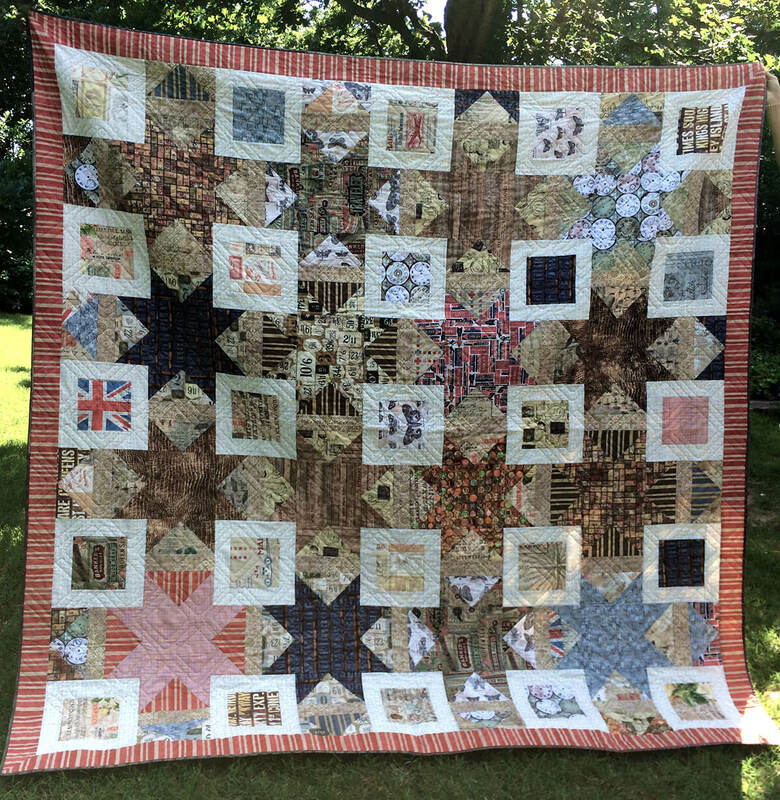 If you’ve ever thumbed through any quilting magazines then you’ve probably seen at least one of her designs. What I really loved about this pattern was the sheer genius of its simplicity. 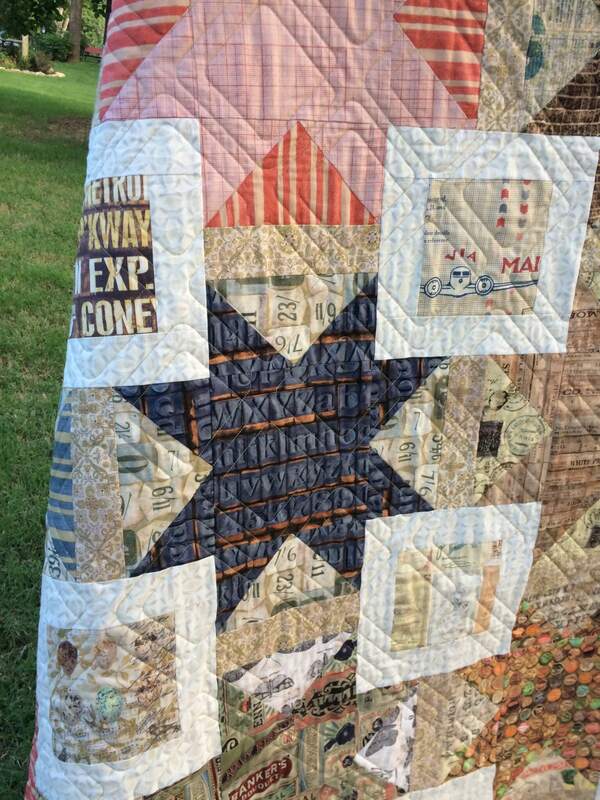 Nothing very complicated, but it showcases the fabrics fabulously with large blocks. In my opinion, it was just a great example of matching the right pattern to the right fabric. I knew this was the pattern I wanted to make, but I ran into a snag. 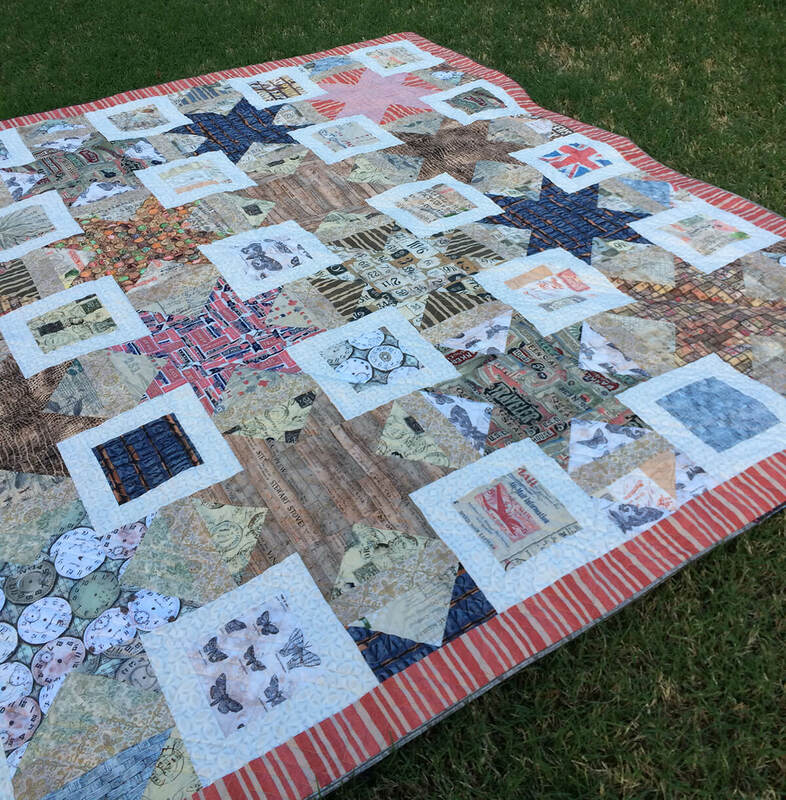 The problem was that the pattern was only available in a kit, and since I already had a huge collection of the Tim Holtz fabrics, I couldn’t justify purchasing more of the fabrics. The idea was to USE UP the stash, not add to it! I tried in vain to find the pattern independently from the kit, and soon discovered that the pattern was a Craftsy exclusive and could not be obtained anywhere else. I shelved the idea and decided to keep looking for an alternative design to use the fabrics. Now I’m not exactly sure what happened behind the scenes, but a few weeks later I decided to look at the Coats and Clark website (since they were the retail name behind the fabric) to see if they happened to have any other companion patterns intended for use with the Tim Holtz Collection. To my amazement, there was Wendy’s pattern listed as a resource. I downloaded it and got to work. In progess. 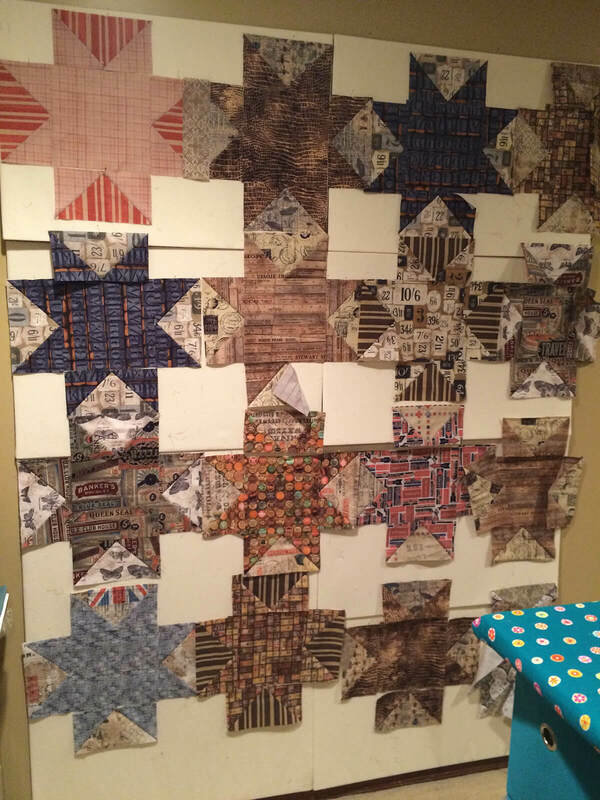 Blocks on design wall for Variable Star quilt. Granted, I didn’t work on it full steam. I basically piddled with it, taking my time, and going back to it between other projects. 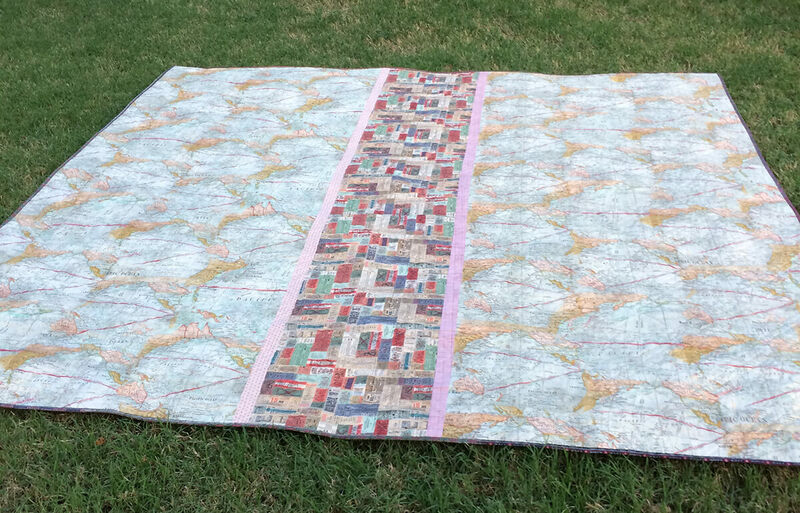 When it came time to sandwich it and find a backing, I really wanted to use the map fabric in the fabric line, but since I’d taken so much time making the quilt, I had trouble finding enough of the fabric. I needed 9 yards, but could only round up 6 of them. I opted to piece the back with a “ticket stub” fabric going down the middle of the back, flanked by strips of the red star fabric. I had hoped to link everyone to the pattern in case you wanted to download it for yourself, but while preparing for this blog post I discovered that the pattern is no longer offered on the Coats and Clark website. 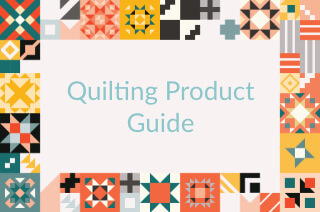 You can still buy a kit at Craftsy (and as of this posting date it’s on sale!) Perhaps you’re in the same situation as me, with a stash of Tim Holtz fabrics and trying to come up with a plan. I have a strong suspicion that Craftsy might be missing out on a few pattern sales by not selling the pattern independently. 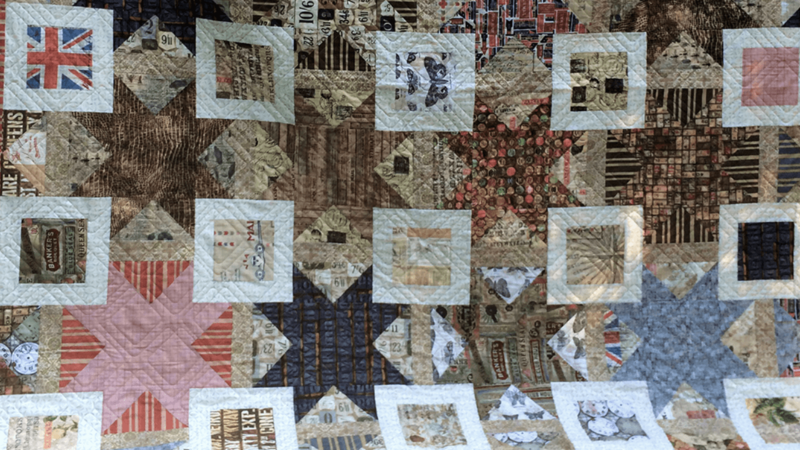 But here is some good news: Coats and Clark now offers 8 quilt patterns specifically designed for use with Tim’s line. (I’m especially fond of the Whirlygig pattern designed by Carl Hentsch, another one of my favorite pattern designers.) And one more tip: Coats and Clark also maintains another website (makeitcoats.com) that offers free patterns for small projects, some of which feature Tim Holtz fabrics, including bags and phone cases. Edited 1/8/2019: Sorry folks but it looks like Coats and Clark has removed the projects from their site! I’m so sorry, but a few small projects are shown on the makeitcoats.com. Anyway, best of luck to you if you’re looking for a way to use up your Tim Holtz stash.